Graduate Stories: As the Admissions Director of AeroStar, I learn a lot about our students and their careers. Airlines were also willing to pay for type rating training for new hires. Many of our students do exactly this. It is good to see people who are so excited about their success. A few months ago, Kenian Jabbour had had his doubts about our program. His crew partner was getting his flight training at a competing academy (PanAm) and had been quoted a lower price than AeroStar was offering. But Keenan toured our facility, compared the quality of the program, and started with us. 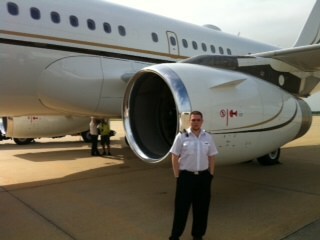 Kenian spent 10 days on site with us getting his A320 type rating. He was hired as a first officer for an airline, and recently stopped by our office while his aircraft was being fueled. They had just returned from France and were planning a trip to Casablanca. Since then, his crew partner has actually spent MORE money on additional training and was still working on his type rating. Why do AeroStar students get hired? Our students stand out from the pack by showing that they’ve made a smart investment in their career. Our students save time for the airlines because they are already fluent and proficient and no additional training is needed. A big thank you to Sunrise Aviation for helping students like Kenian get started and referring them to AeroStar for advanced flight training. Together we help aviation career dreams take flight! Do you have WIA or VA benefits? 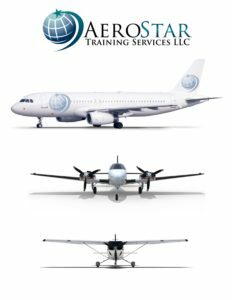 AeroStar Training Service is approved for WIA and VA benefits and programs in Kentucky and Central Florida! Contact us to find out how you could apply those benefits to acquire a type rating, a ATP-CTP certificate, or other advanced training! How Can Flight Schools Attract More Students? Paula Williams: All parts of that question. Great, exactly. Let’s carry on with the next one. How can flight schools attract more students? 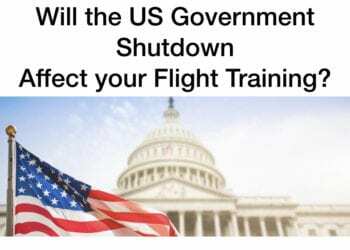 I know this is a problem for a lot of flight schools coming out of what was a slow period and I know a lot of them are starting to get a few more students in the door but depending on where you are in the country, this is still a problem. David Santo: We see this is a multifaceted problem. First of all, and I’m guilty of this too when we started AeroStar, we had the concept, if we build it they would come. When we built it and opened the doors, we were shocked and surprised that people weren’t lined up around the street to enroll in our programs because nobody knew who we were, they didn’t know we existed. One thing that flight schools should really look at is their marketing, their branding, how they’re getting their message out there, and I think that’s a plug for you guys, Paula, at ABCI because I think internet-based marketing to the global market is the way to go. We see our opportunity working with the flight school as making yourselves even more attractive. You might have the best flight school in the world but how can you make it better? Are you offering your students the option to complete the ATP CTP? Are you offering your students the option to get advanced jet flight simulation training or type ratings? If you’re not, that’s where we think we can bolster your offering catalogue by adding classes that you don’t have to spend the money in doing your own certification, research and development. We’re turnkey. We formalize an agreement. You advertise and market us as part of you and you’re out there really attracting students who maybe want that extra program and then you package that into your pricing structure. Paula Williams: That makes perfect sense. It’s like what we call a white level service. As far as the student knows he’s working with Cochise College or FIT, or Sun State Aviation and the student may not know or care or want to know about FIT or any other partners or anything like that, or sorry, about AeroStar. They just see the school that they initially entered in agreement with, is that correct? 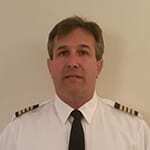 David Santo: That is absolutely correct and we really do see ourselves as a subcontractor so we’re not out there trying to beat the AeroStar drum, we’re trying to beat the we’re a subservice to the larger pipeline which is the flight school itself. We just want to be there at the end to help you provide that finishing school, that graduate school piece which is the type rating ride. How you market it, package it, present it, it is really up to the individual school. We want to support whatever the school thinks is the best approach for their individual marketing efforts. I will say that with FIT, for example, one of the things that we did early on with FIT was FIT actually got our programs approved for academic credit so that students could attend a type rating course or a flight deck observation program and receive college credit for it, number one, and therefore, they could apply student aid, financial aid to help offset some of the cost of these programs. Paula Williams: Right, that makes perfect sense. The other side of that I think is that affiliating with AeroStar is to the advantage of flight schools because of AeroStar’s reputation. As you’ve mentioned you’ve been in business for six years, a lot of the other providers in the market maybe don’t have the reputation that you do for quality of training and things like that. It’s like a Gulfstream with a Rolls Royce engine. You do want to have the best components in your system and AeroStar is a really good engine to have under the hood for those students that do want to look at the details. David Santo: I’ll say this, Paula. Our students have given us very positive feedback. The quality of the training that the students who have come to our type rating courses really has been very, very positive and that means a lot to us. Now, I’m not going to say that we don’t occasionally have people that run into training issues because every flight school does. In fact, if you have a flight school that doesn’t have some kind of training issues, they’re probably selling the license and not selling the training. David Santo: We take great pride with the fact that people have been employed from our training program. We currently have a relationship with Tiger Airways where Tiger Airways in Australia is sending their initial new hires over to AeroStar, a preferential provider for them and the feedback that we’re getting has been very, very positive so we’re very proud of that. Paula Williams: Right. Let me just expand on that just a little bit more as far as how can flight schools attract more students and I think the keyword here from a marketing perspective is competitive advantage. 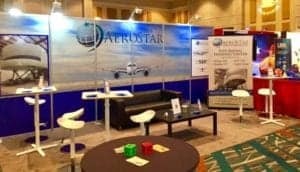 If there are four flight schools on your field and you are the one that offers ATP/CTP and type ratings and all of the things that AeroStar can add to your catalogue, that really makes you stand out because people don’t buy flight training, they buy a career. It’s just like … the old marketing saying is people don’t buy a drill they buy the holes that that drill can make. They’re really buying a solution. I think as flight school owners, sometimes people get in to the mode of we have to lower our prices, we have to offer training at a lower cost per hour than the other folks on the field and that’s our competitive advantage but that’s just a race to the bottom and that doesn’t do anybody any good. Adding to your competitive advantage rather than subtracting from your price I think is really, really key to staying in business, in a healthy business as a flight school. David Santo: Yeah, you’re absolutely right, Paula, and of course you’ve got a lot of experience with that. We try to compete on value and not on price. We want to have the best targeted value. We’re not trying to be the Walmart provider in our market. We’re trying to be the Target. We’re also not trying to be the Tiffany’s. We find that most of the students are looking for somewhere in the middle where it’s a reasonable price, reasonable quality product, they’re going to get a good foundation of the training and they’re going to be able to better afford it than some of the $40-50,000 type ratings. I mean let’s be clear here. To get a type rating on a Gulfstream or a Challenger at flight safety or semi-flight CAE, you’re looking at paying 40, 50, $60,000. To get a type rating on a AirBus A320 or a Boeing 737NG with AeroStar is $13,500 and you’re going to get 28 hours in that program of flight simulation training. Now if you take 28 hours of flight simulation training and just run the math, so I think the average twin is about $350 an hour. If you get 28 hours of that, that’s almost $10,000 of the cost right there so I think it’s very attractive. I think one of the other things that I didn’t mention, Paula, if I can, I’m going to go slightly off the track here a little bit, but I think one of the challenges that we’re faced with as flight schools in the United States is, with the new ATP rule how do we get graduates from the commercial multiengine instrument and/or type rating program to employment. Because if we can’t get them out the door and get them into a job, then it slows down that pipeline and this is where we really see a symbiotic solution to a global problem. In the US, we have a pilot shortage but that pilot shortage has a hurdle of 1500 or 1000 hours depending on what type of 141 school you are. The international market does not have that limitation. Right now, the average new hire flying an A320 or a Boeing 737 or any narrow body airliner in Asia, the Middle East and Africa, the average new hire has about 300 hours or less. That’s where the biggest demand is. Here’s what we would propose. We would propose to the flight schools to go after the international foreign student, bring those foreign students into your flight school. They are not going to get work visas so they’re not going to want flight instructor jobs. They don’t have time to go out and do the time building for flight instruction. As soon as they graduate they’re going to go back and go into their airline’s specific training program. What that does for you is it increases the number of people utilizing your airplanes, increases your revenue streams and it also increases the flight instruction opportunities for our local American men and women. By helping the international market we’re creating more flight instructor opportunities for our own market which then bridges the gap to get people to the airlines. We really see it as a global and a symbiotic solution. If you stop and think about the demand, with a half million pilots needed over 20 years, if every single flight school in the United States pulled the resources together, we still couldn’t meet that demand in that timeframe so there’s plenty of work for everybody. We need to try to figure out a solution. It really brings more foreign folks into our training environment and that helps our training environment produce more American pilots. Paula Williams: Right, which brings up the question, is there anything specific that I need to do as a part 141 or 61 school to be authorized to do those visas and other kinds of things? If I haven’t been pursuing that market, is there something I need to do to make that legal, correct and all those kinds of things? David Santo: Yes, you have to apply to SEVIS for what’s called an I-20 authority to issue M1 visas. It’s a lengthy process, it’s a government process but any 141 school should have a fairly easy time of doing that. Even the 6191 schools I think have a venue for being able to do this. Then of course when they come for jet transport training, we will do the TSA portion to make sure that they’re properly vetted by TSA to train in the sims. I really think it’s getting out there to the global market. There are going to be some hurdles. It’s not going to be easy. Nothing that’s worth pursuing is going to be easy but we certainly are in a position to help flight schools. We’ve done the SEVIS I-20 visa authority, we’ve done VA, we’re currently VA approved. We’ve trained a lot of foreign pilots and are very familiar with the process. Those are things that I think we can bring to the table to help the schools that are interested in diving into this ab initio market. Paula Williams: I promised to bring this back up and that is the screening tools that you mentioned, COMPASS and others. At what point should flight schools even approach that? Do they want to disqualify students from the front end or would that actually be a selling point to be a little bit more exclusive with people who really have a good shot at becoming a pilot? David Santo: First of all, I think that the right time is at the beginning or prior to initiating the expense of the flight training but I also would not want to see this as a tool that weeds out the determined. I have to share with you. I don’t know that I could have passed the COMPASS test back when I was trying to get … break into the industry. I go with more the American concept that says it’s a great screening tool for airlines. It’s a great screening tool for moms and dads to feel like before they make a capital investment in their son or daughter, do they have the aptitude for it? I believe if they show the passion and certainly put forth the effort, I wouldn’t take COMPASS as the ultimatum in deciding whether somebody can or can’t do something. I think with enough passion and effort and time and dedication, a lot more students would pass and graduate than what COMPASS would select. Paula Williams: That makes perfect sense, so maybe a flight school could offer that as an option for students who maybe are not sure if this is something they want to do or for corporations or airlines or others to use as well. David Santo: If we were going to use it in an ab initio setting, what we would tell the parents or the airline is if a person graduate … completes the COMPASS test and scores above a certain level, you have a high level of confidence that they’re going to complete the training on track, on course without additional cost. If they complete below that level, you should anticipate that they may take extra training and there may be some associated extra cost. Meet our new graduates! 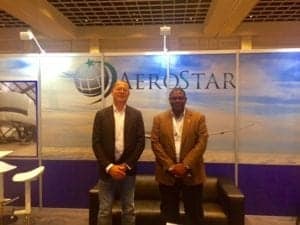 Within the past few days AeroStar graduated two A320 initial type rating customers and two more on the B737NG. All of them did an outstanding job while completing their new ratings both on budget and on schedule! Congratulations! David Santo, AeroStar President and CEO and JetBlue Captain delivers keynote address at the annual NIFA ( National Intercollegiate Flying Association) awards banquet. This year’s regional flight competition was hosted by Florida Institute of Technology (FIT) in Melbourne Fla. AeroStar was honored to be the major sponsor for the event and Scott Patton Director of Sales and Business Development at AeroStar served as an official NIFA Judge for the competition. In his speech to the group of over one hundred and seventy five young pilots, and representatives from the competing aviation universities, Dave related his personal experiences with his aviation career and encouraged the group to continue to advance their training because the future for pilots is very bright and that they “are all in the right spot in history to enjoy long careers in aviation.” Our thanks and congratulations to FIT, NIFA, and all the great young aviators for the tremendous success of the competition and banquet. Well done!